The purpose of this Site is to provide a simple, convenient and cost-effective service to fastfood consumers, linking them to restaurants in their area that offer takeaway food. Interactive menus allow customers to build and submit orders at the click of a button. By joining, members can view their order history, rate past orders, introduce friends and earn discounts. To the extent permitted by law, RedoQ Ltd. provides this Site and content on an "as-is" and "as available" basis and we make no representation or warranty of any kind, express or implied, regarding the content or availability of this Site, or that it will be timely or error-free, that defects will be corrected, or that the Site or server that makes it available are free of viruses or other harmful components. Subject to the previous paragraph, neither RedoQ Ltd. nor RedoQ Ltd. directors, officers, agents, employees or contractors shall have any liability for any direct, indirect, special or consequential losses or damages (including without limitation, damages for loss of business or loss of profits), arising in contract, tort or otherwise from the use or inability to use this Site. All copyright, trade marks and other intellectual property rights in this Site and its content (including without limitation the Site design, text, graphics, logos, icons, images and all software, databases and source code connected with the Site) are owned by or licensed to RedoQ Ltd. or otherwise used by RedoQ Ltd. as permitted by law. RedoQ and the DineOrder logo are trade marks of RedoQ Ltd. This Site contains links to other websites. Those websites are not under the control of RedoQ Ltd. and RedoQ Ltd. is not responsible for the practices, content or availability of such websites. A link does not imply endorsement of, sponsorship of, or affiliation with the linked site. We provide the links as a convenience only. If you decide to access linked third party websites, you do so at your own risk, and we will not be held responsible or liable for any loss or damages caused by use of or reliance on any contents, goods or services available on such websites. 2. Transmitting material that constitutes a criminal offence, results in civil liability or otherwise breaches any laws, regulations or codes of practice. 3. Interfering with any other persons use or enjoyment of the Site. 4. Damaging, disabling or impairing the operation of this Site or attempting to gain unauthorised access to this Site or to networks connected to it, through hacking, spoofing or other such similar means. RedoQ Ltd. endeavours to deal with reputable third parties who provide a quality service, however RedoQ Ltd. accepts no responsibility or liability for the quality or quantity of any goods delivered by or collected from said third parties. It is the responsibility of the customer to thoroughly check the supplied goods before agreeing to pay for an order. All questions regarding goods shown on this Site should be directed to the partner restaurant. After you submit an order to us, we will give you an Order Number and send the details of this order in an email. Please note that this is acknowledgement of your order, not acceptance. Acceptance of your order will only occur when we send you a further email confirming that the restaurant has received and accepted your order. If the restaurant is unable to fulfil your order you will receive an email stating that your order has been declined. Please make sure the email address you provide is correct and your mailbox is in proper working order, as all correspondence regarding your order is sent to this address. Members can track the progress of their orders by viewing their Order History. 1. Alcohol and Cigarettes Pursuant to the Licensing Act 1964, it is an offence for any person under the age of 18 to buy, or attempt to buy, intoxicating liquor, or for any person over the age of 18 to buy intoxicating liquor on behalf of any person under the age of 18. Cigarettes are not for sale to minors under the age of 16. Orders containing either alcohol or cigarettes can therefore not be accepted from minors. 2. Payment Once your order has been accepted, this represents an agreement between you the customer and the restaurant. The restaurant has sole responsibility for this order. Cash payments are made directly to the restaurant fulfilling the order. If you have chosen to pay with credit or debit card on the Site then the transaction is processed by RedoQ Ltd. as an authorised agent of the restaurant. All prices are inclusive of VAT and quoted in British (Sterling) Pounds. Delivery and/or card charges are calculated per order and based on the policy of the individual restaurant. Any delivery charges or card fees will be displayed clearly in your Order Summary. Prices are subject to change and all goods are subject to availability. 3. Cancellation You have the right to cancel an order up to the point the order is sent to the restaurant. Normally, this is approximately 45 minutes before the time you requested delivery or collection of the order. Members can cancel an order via their Order History, while guests can use the "Cancel order" link in the confirmation email they received. While every effort is made to ensure that accurate pricing and descriptions are maintained, we reserve the right to cancel any order that is based on inaccurate information. An order may be subsequently cancelled by a restaurant after you have received an email stating the order has been accepted. RedoQ Ltd. and our partner restaurants reserves the right to cancel any order, before or after acceptance, and will notify you immediately of any such cancellation. Members of the Site will be awarded 3 Taste Test special offers, valid for 3 months from their date of joining. Each Taste Test offer provides a member with a discount on their customer's first purchase only from a participating restaurant. The rate of discount offered by participating restaurants may differ on a restaurant by restaurant basis (20% is an indicative figure). The actual discount on offer will be clearly displayed alongside the search results of participating restaurants. Rates of discount may change without notice, and the offer may be withdrawn either from individual restaurants or from the whole of RedoQ Ltd. without prior notice and with immediate effect. In such circumstances, all remaining discounts will be void and no compensation will be due. The offer is available to RedoQ Ltd. members only, and can only be claimed by ordering through RedoQ Ltd.. Only 1 taste test may be used per order, and the offer is non-exchangeable. The offer may not be combined with any other promotional rate offer. Additionally, the offer may not be available with certain items on a restaurant's menu - typically, but not limited to the normal "specials offers" (also sometimes referred to as "meal deals") which can be ordered from some participating restaurants. Members of the Site have the opportunity to collect loyalty stamps when ordering from participating restaurants (indicated by the presence of a special icon). A loyalty stamp is earned when an order is placed with a participating restaurant on the Site and the order is Accepted and filled by the given restaurant. Stamps are collected against individual restaurants, so a stamp from restaurant A applies only to restaurant A, and may not be redeemed at restaurant B, or any restaurant other than restaurant A. 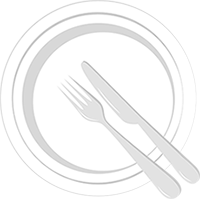 You may earn a maximum of 1 stamp per restaurant per day. Once you have collected a total of 5 or more stamps against a single restaurant, you are able to exchange them for a 50% discount on your next order from that restaurant. Please note that whilst you can earn stamps on any day of the week that you order, they can only be redeemed Monday - Thursday. Rates of discount may change without notice, and the offer may be withdrawn either from individual restaurants or from the whole of the Site without prior notice and with immediate effect. In such circumstances, any discounts due and stamps collected will be void, and neither the restaurants nor dineorder.co may be held liable for any losses incurred as a result. 1. Winners will be responsible for ensuring they are able to accept the prize, as set out and in accordance with these terms and conditions. 2. Failure to claim a gift, prize or other promotional item by the time or in the manner specified for the particular promotion (or if no time is specified, within 28 days from the promotion closing date) will make any claim invalid and RedoQ Ltd. may re-allocate the prize. No responsibility is accepted for entries damaged, lost or mislaid and proof of posting will not be accepted as proof of delivery. 3. Competitions and promotions are open to individual residents of the UK aged 18 or over, except employees of RedoQ Ltd, their associated, affiliated or subsidiary companies, and their families, agents, or anyone connected with this competition, including the third-party promotional partners. 4. Winners are selected at random, unless stated other wise. 5. Completion and submission of an online competition entry form will be deemed acceptance of these terms and conditions. 6. The promoter reserves the right at any time to cancel, modify or supersede the competition (including altering prizes) if, at its sole discretion, a competition cannot be conducted as specified. The promoter reserves the right to substitute a prize of equal value in the event that circumstances beyond its control make this unavoidable. 7. These terms and conditions are governed by the laws of England and Wales and are subject to the exclusive jurisdiction of the English courts. 1. DineOrder.com gift vouchers must be redeemed on the Dineorder.com website or DineOrder iPhone app. 2. Gift vouchers have no cash redemption value and are not transferable or assignable. DineOrder.com may provide gift voucher purchasers with information about the redemption status of gift vouchers that they purchase. 3. Any unused balance will be available on 'My Account' on dineorder.com. 4. If the order exceeds the amount of the gift voucher, the balance must be paid by credit or debit card. 5. Once redeemed, you must select Account Balance during checkout to use the gift voucher for a purchase. 6. Gift vouchers and unused portions of gift vouchers expire one year from the date of issue, where permissible under applicable law. 7. Normal RedoQ Ltd. terms and conditions of purchase and for using the Dineorder.com website apply. 8. Please note that some products available for sale on the dineorder.com website may not be purchased by persons under a specified age. If you are planning to give a gift voucher to someone under 18 years of age, please ensure that they are made aware that some products are unavailable to them (e.g. alcohol). 9. Gift vouchers cannot be used to pay for gift vouchers. 10. One or more gift vouchers can be redeemed to an account. Also gift vouchers can be combined with other dineorder.com offers and promotions. 11. DineOrder.com is not responsible if a gift voucher is lost, stolen, destroyed or used without permission. I need a refund, what happens next? Sometimes you may require a refund. We are here to help when this kind of stuff happens. If you require a refund on a cash order the best thing to do is contact the restaurant directly. The money was paid to the driver and not to DineOrder and we cannot issue a cash refund. If you have paid online then you are welcome to call us. If your order is refunded on the same day the order is placed the refunded money will stay on your DineOrder account for the remainder of the day. This is in case you would like to place another order on that day. If no order is placed the money will automatically be refunded to your bank account. This may take up to 3 working days to appear in your account. If the refund is made after the day the order was placed we will issue the refund to your bank account. The money may take up to 3 working days to appear in your account. Why do I have to pay a card fee? The restaurant is charged this fee by the credit card company. Some restaurants choose to absorb this charge while most choose to pass this on to the customer. The fee is typically 50p - 75p per transaction. If you come across an unusually high card charge then please do inform us about this. There are three methods that DineOrder accept. You can pay by cash direct to the driver. We also accept credit cards and have just begun accepting paypal. If you have paid via Paypal with a credit or debit card the refund will be applied to your bank account. This may take up tp 3 working days to appear. If you paid via Paypal with a bank account or Paypal balance the refund goes into your paypal account. This is instant. If you paid with a bank account and want this returned to your bank account you will need to request that paypal transfer this money back to your bank account. Why do I need to pay a delivery charge? The delivery fee is decided by the restaurants. Some restaurants offer free delivery. This can be found on the menu listings. You can also search specifically for restaurants that offer free delivery by using the filters on the left hand side of the menu listings. If you think you have been overcharged on the delivery then you can fill in the price guarantee claim form. We require that all restaurants offer the same prices on DineOrder as they do in store. You may be entitled to a refund of the delivery charge. How much time will the DineOrder take to deliver? We try our best to give prompt service however the time frame WILL vary depending on the policy of the DineOrder. You should see an estimated delivery time in the Eatery listing page. During poor weather or traffic situations it may take longer than usual. BUT WE WILL GET THERE! You can always get in touch with Dineorder.com directly to inquire about the status of your order. How soon can I pick up my food? Once the order is submitted, Dineorder.com starts processing your order immediately. Orders are generally transmitted automatically to the dineorder within seconds of submission. You will receive a confirmation email after your order has been received by the DineOrder. After receiving a confirmation email, please allow us 15 to 30 minutes, on average, to prepare your order before picking it up. Delivery costs, just like delivery time, are determined by restaurants individually. Usually the ones closest to you will charge a small delivery fee. If a delivery driver has to travel a long way, they may charge a little extra for the service. There are many restaurants offering free delivery as well. You can easily check the delivery cost for each restaurant whilst browsing our website. If you want to view all restaurants, just go to Restaurant List. Then enter your location to check which restaurants can deliver to you. Is the restaurant on your way to work or perhaps just down the street? Feel like having a walk? You can place an order online and pick it up from your restaurant of choice. We have many restaurants that have Takeaway feature so you can grab your favorite meal at a go. For the preorder if the takeaway is closed then customer can order and select a different date and time and the order will be delivered according to the date. RedoQ Ltd. complies with the principles of the 'Data Protection Act, 1998' and is registered with the Information Commissioner's Office who oversee this act. When a member introduces a friend, we store the friend's email address so the member can track the status of their introductions. This also allows reminders to be sent if necessary. The person receiving the introduction can remove their email address from our system at any time via a link in the introduction email, or by sending an email directly to us at help@redoq.com. To remove your personal information and cancel your membership, send an email from your registered email address to help@redoq.com. Your membership and personal details will be removed within 5 days. Users who order as guests cannot view or change their details on the website once an order has been submitted. Any changes, which affect the fulfilment of an order, should be communicated directly to the applicable restaurant. RedoQ Ltd. holds personal data in accordance with UK data protection legislation. To Register with us just click on Register Option available on the Top of the Website and fill in your personal details. On Successful submission of the form, you will get an Email with an Activation Link. Click on that link and you will be automatically Redirected to Dineorder and your Account will be Confirmed. Note: Without Activating your account, you will not be able to Log In to Dineorder. You can easily Register with your Social Accounts like Facebook, Gmail and Twitter.